As we all know January can be dark, dull and depressing. 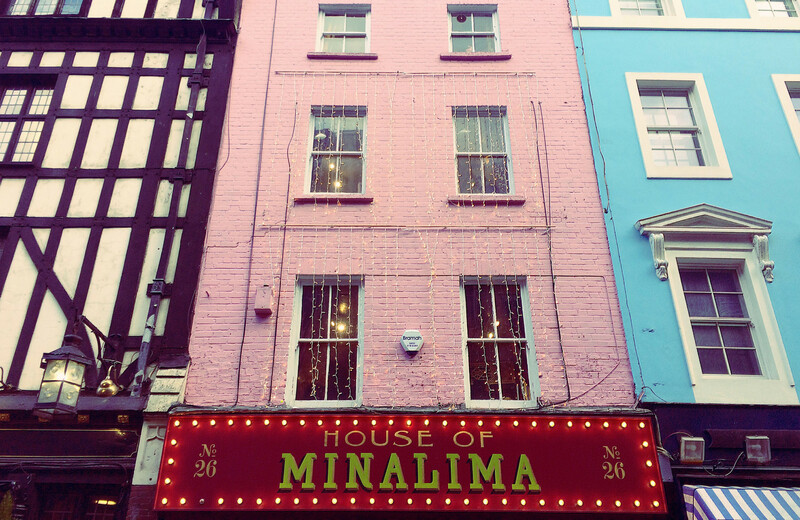 So to cheer myself up I took a little trip to London to see an exhibition by award winning design studio MinaLima. 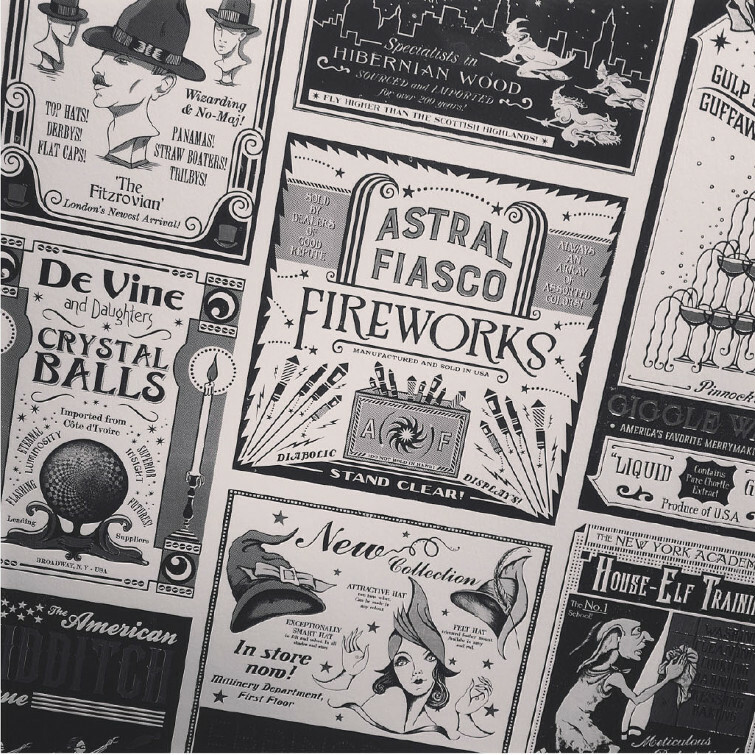 MinaLima created the graphic art for the film Fantastic Beasts and Where to Find Them, and more famously the graphic art for the Harry Potter film series, of which I’m a massive fan. MinaLima is the creative collaboration of Miraphora Mina and Eduardo Lima. The duo met on set of the second Harry Potter film and after a decade of designing the details that make the magical world that is loved by so many come to life, The House of MinaLima showcases their work with four floors of distinctive designs from all of the films. The first floor was dedicated to Fantastic Beasts and Where to Find Them. 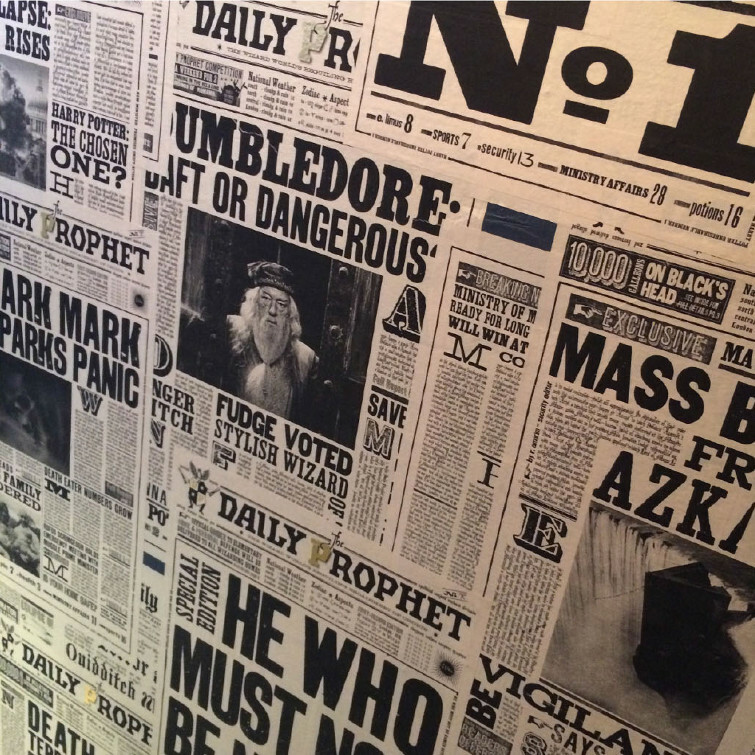 As the film is set in the 1920’s the graphic design styles look distinctly different to the designs from the Harry Potter films. You can clearly see how they had been inspired for their typography and illustration from Art Deco styles of the time. The posters featured in the film were so charming in real life I was so tempted to buy one of them! The second and third floor were all about Harry Potter. 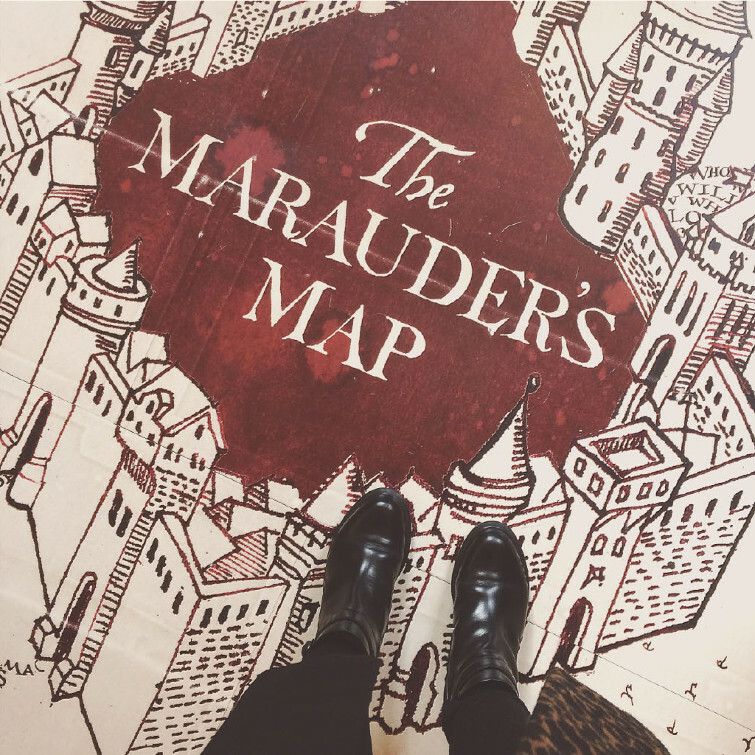 On display was Marauder’s Map (a particular favourite of mine, the map was also printed onto the floor of the house), letters that are famously part of the plot, book covers, the famous set of wanted posters, the proclamation posters, signage, and packaging for potions and other wizard ephemera. It was complete magic (no pun intended!). 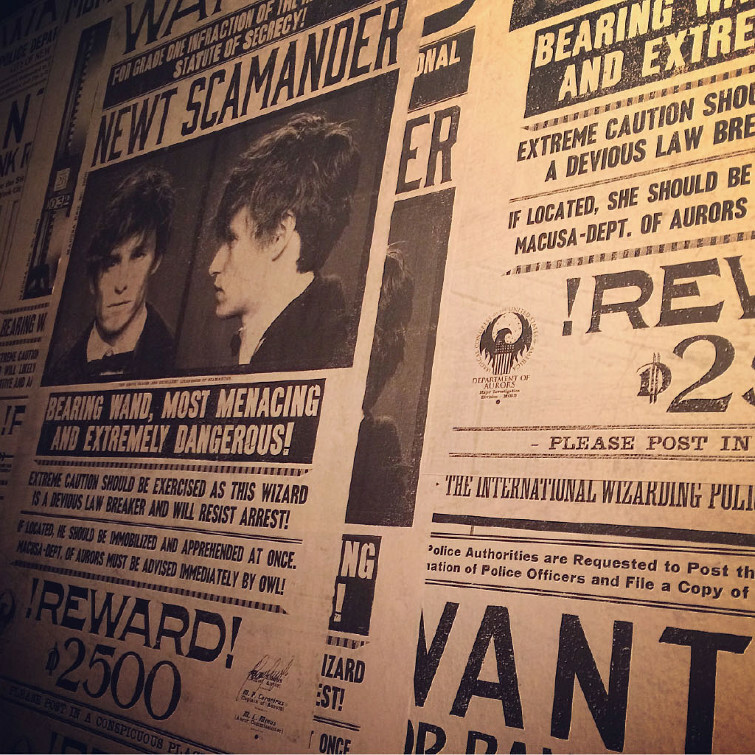 As MinaLima designed the prop for the book called Fantastic Beasts and Where to Find Them, which was part of Harry’s curriculum at Hogwarts, it seems only right that MinaLima continued to design for the spin-off wizarding world. 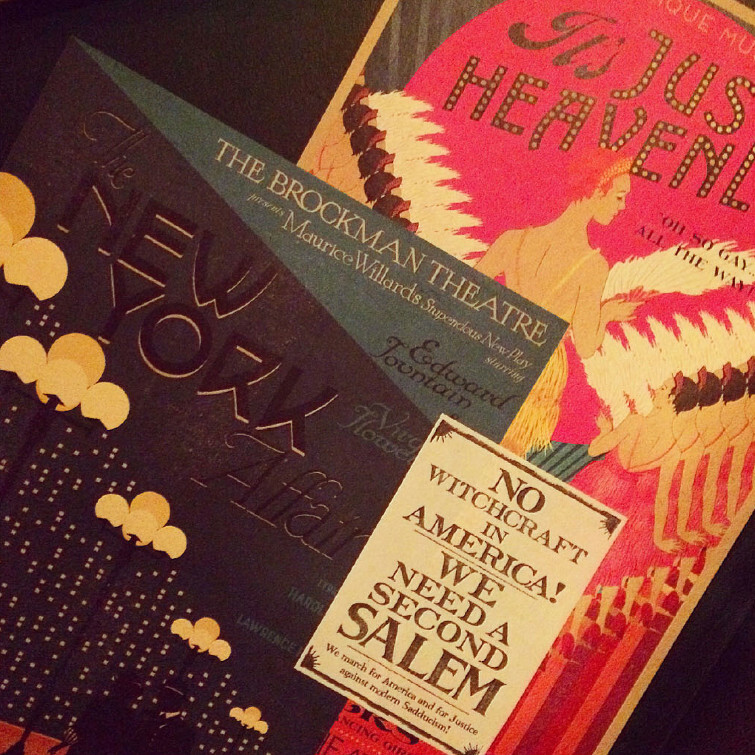 The most interesting of all the designs were the newspapers which are well known in both films, ‘The Daily Prophet’ and ‘The New York Ghost’. The duo had to create mastheads, layouts and even their own headlines, apart from the ones which are part of the plots. It was said that the designers would sneak in their own logo or names of their family and friends into the artwork, which of course you can’t spot while watching the film, but I loved this fact nonetheless! The House was due to close on the 4th February, but remains open until further notice – hurrah! 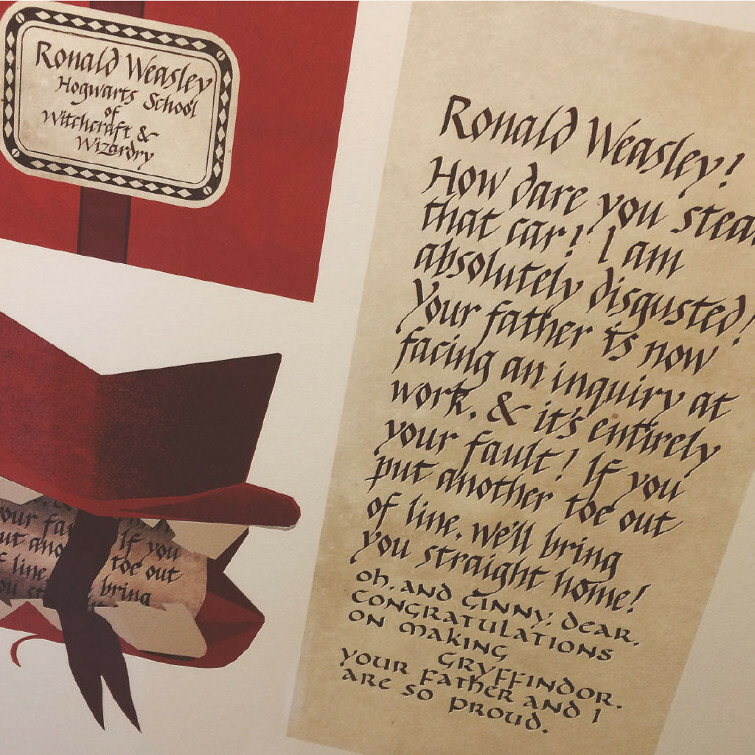 So if you love Harry Potter, or you just love design, I highly recommend you take a visit.